How to choose your French top-up health insurance? FrenchEntrée > Living in France > Property, Health and Car Insurance in France > How to choose your French top-up health insurance? It’s important to know that standard state French health insurance only covers part of your costs. social security reimbursement rate, which refers to the cost of your consultation, procedure, treatment or service, determined by France’s Social Security system (Base de Remboursement de la Securité Sociale, BRSS). These are the standard fees charged. the repayment rate (taux de remboursement). This rate is also determined by Social Security, and varies according to the type of care. For example, you’ll be reimbursed 70% of the flat fee for a consultation, 65% for medicines for significant medical services, etc. Obtaining complementary health insurance is therefore a must to guarantee better or full reimbursement of your medical costs, which can be considerable. The question is: which solution you should choose? Take a look at APRIL’s health insurance for expats in France! You see a GP who charges you €40. 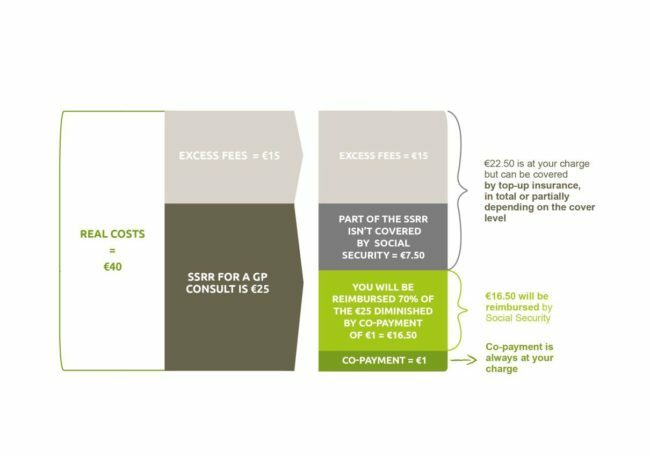 Social Security Reimbursement Rate (BRSS) for a GP consult is set at €25. Social Security will reimburse 70% of the standard fee which amounts to €25. The excess fee of €15 is not taken into consideration as well as the co-payment of €1 that will be deducted from your reimbursement. Social Security repayment will amount to €16.5 out of the €40 you paid. A total of €22.50 will be at your charge. Tables of benefits in France often present the reimbursement level as a percentage of BRSS, which stands for Base de Remboursement de la Sécurite Sociale (Social Security Reimbursement Rate). If your top-up health insurance covers your consultations up to 220% of BRSS it means that you will be reimbursed up to the standard fee charge multiplied by 220%, which is 2.2 x 25 = €55. Social Security will reimburse €16.5 and your complementary insurance will cover the remaining €22.5. You will have to pay only €1 co-payment. Upper limits may sometimes be presented as a fixed amount, for example your top-up might reimburse up to €500 per year for dental care. Depending on how often you consult specialists and whether dental or optical care is important to you, it is crucial to choose a suitable cover level. Top-up insurance providers might apply waiting periods during the first few months of your cover. Waiting periods will often apply to dental care but can apply to inpatient care as well. Depending on the provider, you might not be covered at all during a certain amount of time or your cover could be limited. For example, during the first 3 months, the upper limit could be reduced to 100% of BRSS and later increased to 300% of BRSS. These waiting periods can sometimes be waived if you can provide evidence that you previously had cover of the same type and at the same level as the benefits provided under your new contract. You should carefully read the General Conditions and table of benefits to be fully aware of certain limitations. 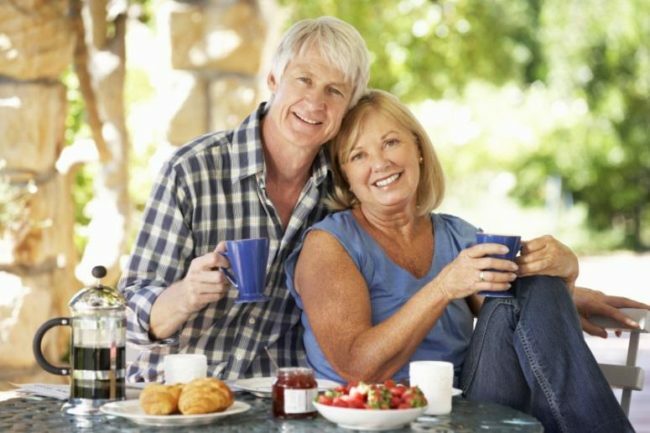 Complementary health insurance usually covers all expenses reimbursed by the statutory scheme. For example, treatments such as cosmetic procedures or thalassotherapy will usually not be covered. However, some providers might extend their cover and offer to pay for certain procedures not reimbursed by Social Security. Pre-existing conditions will be covered by complementary insurance as they are reimbursed by Social Security. No health questionnaire will be requested when you apply for top-up insurance. You’re looking for a top-up insurance designed for expats? APRIL International Care provides international health insurance solutions to individuals, families, travelers, students and companies around the world. Discover all APRIL International solutions at april-international.com!